Faith Baptist Camp is an independent, fundamental King James Bible Believing Baptist campground nestled in the foothills of the Blue Ridge Mountains in Northwest Georgia. We are located on Hwy 136 East of Resaca, Georgia. 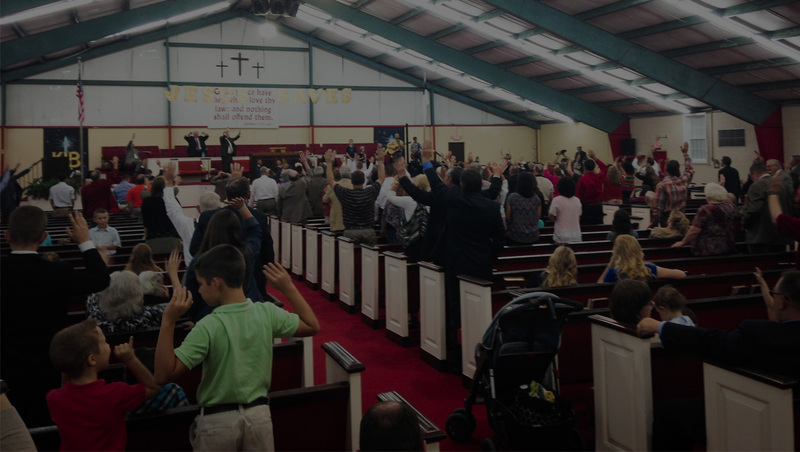 Faith Baptist Camp holds 3 meetings each year. 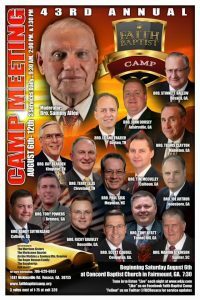 June camp meeting always starts the Fourth Sunday in June. 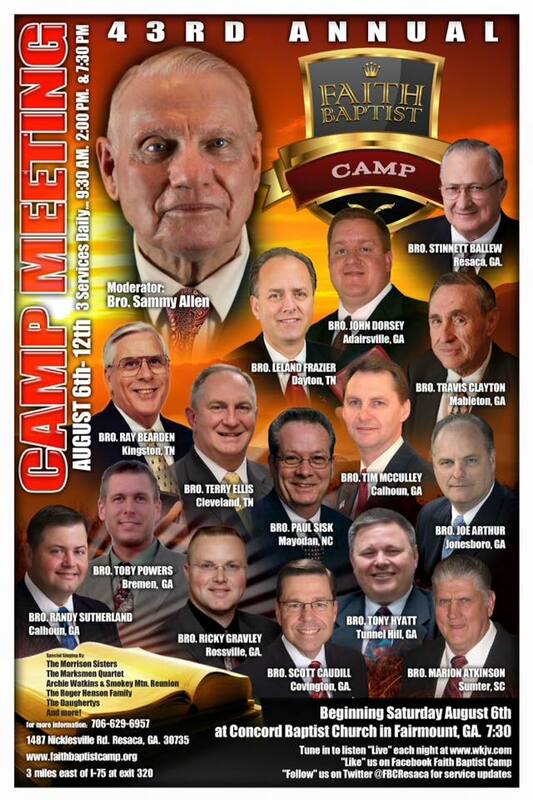 The August camp meeting starts the first Sunday in August. November camp meeting is always the week of Thanksgiving. The dates of this years meetings are as follows: June 24-30, August 6-11, and November 19-24. We offer two ways to watch our services live! If you have a Facebook account, click the Facebook image to be directed to our official Faith Baptist Camp Facebook page. There we “Facebook Live” every service, every day. 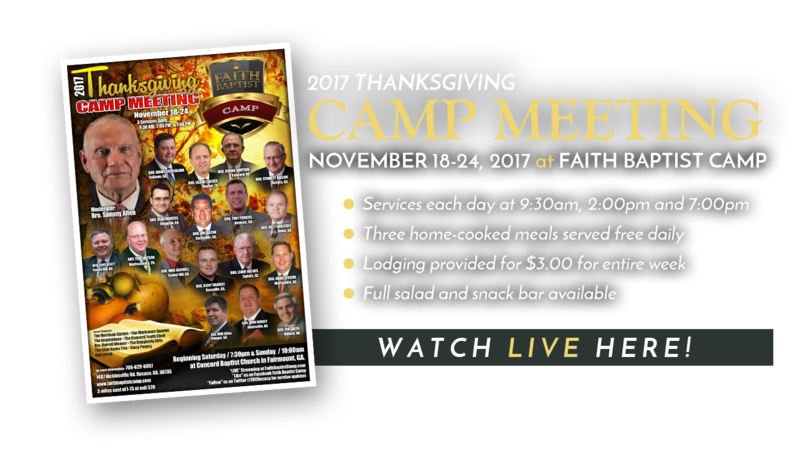 UPDATE 11/20/17 – As of 11/19/17 YouTube has banned our Faith Baptist Camp YouTube page from live streaming. Archives of past camp meetings are still available but we cannot stream any new content at this time. We’ve reached out to YouTube and requested an explanation for the ban but have yet to receive a response. Services are still available live on our Facebook page. Also, the YouTube links above and below will now direct you to our church YouTube page. We are still able to stream the Faith Baptist Camp services live there until YouTube re-enables the Faith Baptist Camp account. Clicking the YouTube link will direct you to our official YouTube page. In addition to our live services, we also have our videos archived on our YouTube page in case you want to view services from past meetings. Please Note: The views and opinions expressed in any audio or video on this website, or linked from this website, are solely those of the speaker or singer and do not necessarily reflect the policies, positions, or beliefs of Concord Baptist Church or Faith Baptist Camp. There will be no peace for you sinner friend, as you go to hell. There Is A Way To Find Peace! True peace comes from God through his Son, Jesus Christ. When you place your faith in Christ, a “peace that passeth all understanding” will fill your soul! 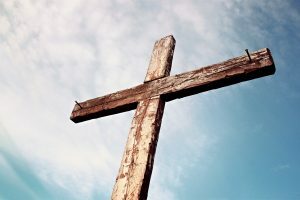 In your own words, simply ask the Lord to come into your heart, confess to him that you are a sinner in need of a Savior. Beleive that he will save you then tell somebody. Find a Bible believing Church and make your confession public. Read your Bible and pray everyday.